NOW THIS WAS GOOD. 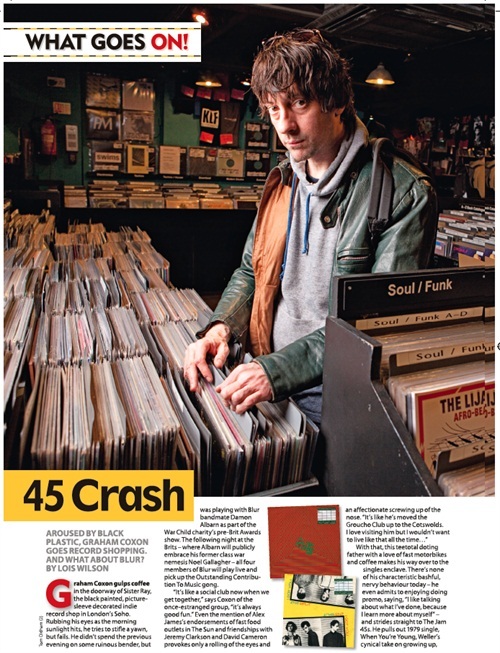 Graham Coxon mooching around Soho selecting his favourite 7"s for a feature? Yes. I can help with that no problem. A pure delight, great fun, Linus Lucas holding my shanty softbox aloft amongst the crate diggers. Bloody nice assignment, cheers MOJO.